The nursery is available during both Sunday Services and the Sunday School Hour. Located in the Education Building. 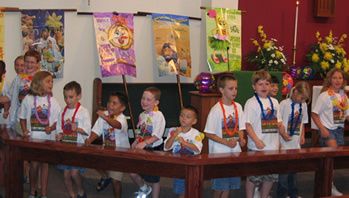 VBS and a children's Christmas program take place each year at Trinity. Sunday School classes are available for children ages 2 to grade 12.